Land Ho! 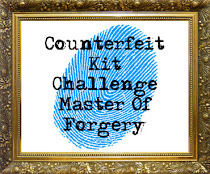 It's June and we have arrived with our new batch of inspiration for Counterfeit Kit Challenge. And it's a big batch as we are challenging you to copy one of eight (yes, that's right I said 8!) of Basic Grey's new offerings! How about THAT for options? Check out the introduction on the CKC blog to see the inspiration buffet. Every summer, I am always drawn to the nautical scrapbook collections. I never tire of the navy, teal, reds and oranges. I loved whales and anchors long before they were trendy. I could buy the new one each season, but I really shouldn't. So when I saw Basic Grey's "Adrift", it was calling out to me like an S.O.S (Save Our Scrapbook, of course)! I had the rare opportunity to shop at a not-so-local-scrapbook store and they had some of this collection. Oh the temptation! And to add insult to injury, I knew this was one of the inspiration collections this month. I'm not supposed to buy it...I'm supposed to forge it! So here was my compromise: buy only 2 "starter" pieces to save on my wallet, yet satisfy my scrappy, nautical appetite, and then forge the rest. After all, I know I have a whole fleet of seafaring papers at home. I started off with the dark navy paper and the die cut pack from the "Adrift" collection. I limited myself to just those 2 pieces. How's that for self-control? To add to the collection and make it completely my own, I added papers from the Cosmo Cricket "Salt Air" paper pad. I scored this huge paper pad a year or two ago at Tuesday Morning (a close-out store that often has scrapbook supplies) for a steal (like 5.99 for the whole 12x12 pad) and felt the papers mimicked the colors in the inspiration. They have a beachy feel, without being too over-the-top themed. From afar, it's hard to even notice the fish tales and scales. Here's my printer's tray with all kinds of "nautical nonsense"! Whale washi, October Afternoon flair, Nautical tags from last year's Fancy Pants collection and of course, the die cuts from the "Adrift" collection. Now, it's time for you to set sail. How will you choose your inspiration? Are any of them sending YOU an S.O.S? Gather your inspiration from the hop below and then chart your course! The Master Forgers Crew will all be anxiously awaiting your choice and your take on it at the dock. Share your kit with us on June's Mr. Linky! 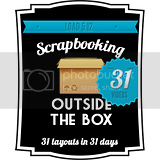 A warm welcome to my fellow ScrapHappy/LOAD scrapsister Emma, our guest designer this month. She has rocked our scrappy boat here over at CKC! 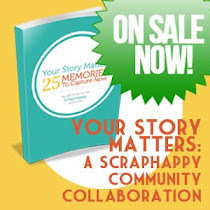 She is a scrapping machine who produces tons of layouts that are inspired and gorgeous. Simply beautiful! So glad you are here, Emma! Your displays are always so fun to see!! You have a great looking collection. My favorite's are all the great embellishments! I, too, am always drawn to the nautical collections. However, I have shown much restraint. Not sure if I could put a collection together from the inspiration of Adrift; but, if I can easily, I will. Can't wait to see what you come up with in your projects! Love it - this is going to be a fun one to watch you use. Enjoy! So inspiring, love the idea to only get a few things and then shop your stash or forge it, that's great! Love, love, love your kit. I am really amazed at how well you controlled yourself on the buying only two of the embellies. I need to take a page from you. I can't wait to see your pages. Wow, I am really loving everyone's kits this month! I always look forward to your stunning displays too! Beautiful and perfect for summer! Hey there. I sent you a message in a bottle on face book. Fun kit. Wondering....have we seen every corner of your house, now? As always, a delightful narrative accompanies your clever kit reveal! Great advice about choosing a few pieces that you can round out from your own stash. I always like the die cut packs the best for doing that. This kit is the perfect choice for you & truly captures the inspiration. I am sending you some gold anchors that you can add in! Super kit, love the transparency's you've added to your kit. I may have to make some for mine. I love your lesson learnt! I'm very impressed with your self control and what a fabulous idea to just buy the two items that spoke to you the most and then forge the rest - you made a perfect nautical kit and the papers you've added in really do the original justice. I especially love the orange/yellow ombre paper - pretty!!! As always, you hit the presentation ball out of the park and have filled me with inspiration!!! I always look forward to seeing your kit presentation and once again it's amazing! I don't blame you for giving in to the temptation of buying just a couple of pieces of the original Adrift collection - your choices made a great starting point for the rest of your kit. The "Salt Air" papers are beautiful - bold but not overwhelming and I love the colors. The cork alpha is a great addition and I like all the journaling spots too. You're going to have fun with this one! 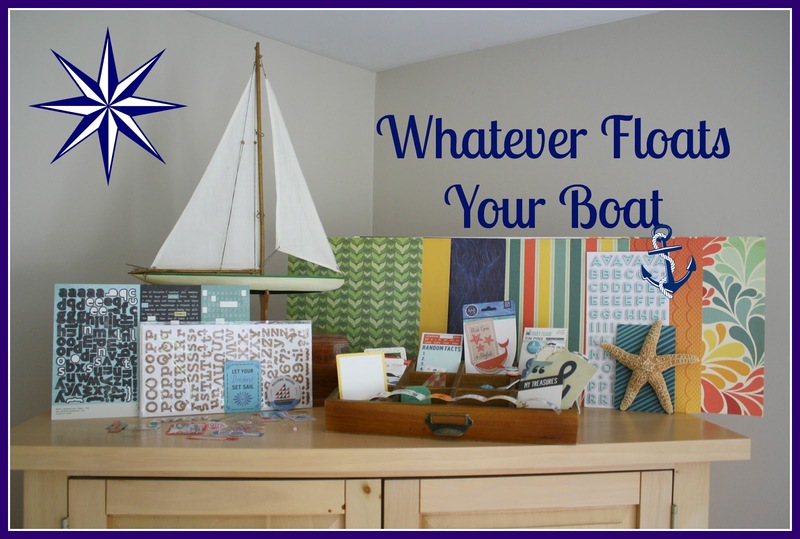 Perfectly presented as usual.Beautiful nautical kit with lots of colourful items there to use. Enjoy this month's kit. Your kit is perfection! Almost makes me wish I had chosen this line. This screams summer! fabulous! Great way to save money for sure! Love your collection and would use it up myself! Love how you've used a couple of new items to work into your kit. Makes perfect sense to me. Beautiful presentation as always.